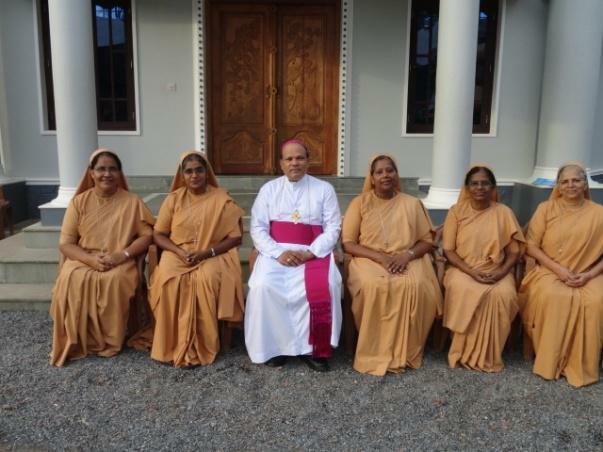 Sr. Berthalomia was born on 14th March 1957 at Kiliyanthara in the civil district of Kannur as the eldest daughter among the 6th Children of the Theckeparambil Family. After completing her graduation she served the Congregation as the Asst. Superior General, General Councilor and Formator. She secured her Doctorate in Youth Pastoral Catechetic based on the theme the Emerging Identity, Vision and Mission of the women Religious of Kerala for Evangelization from Salesians University in Rome. She was appointed as the General Formation co-coordinator and the superior of the prayer house at Poomala. 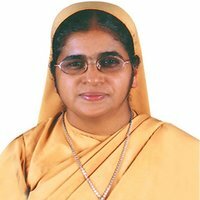 She was elected as the 6th Superior General in 2006.